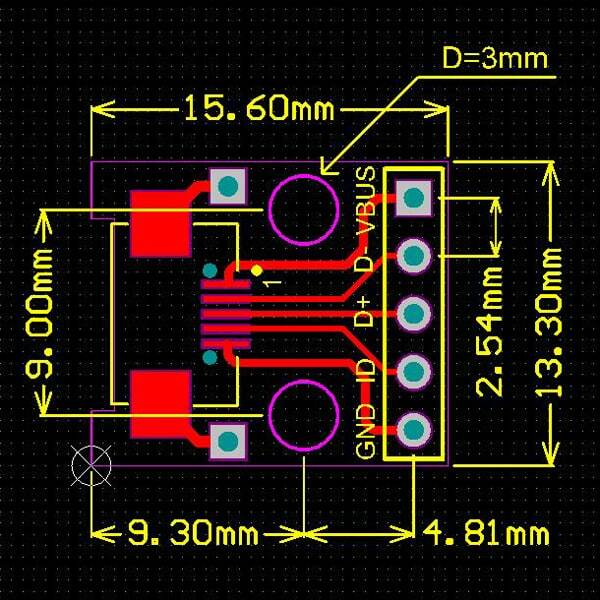 This is a handy USB Micro-B breakout board. Compatible with our USB Micro cables and our DIY USB micro-b plug connectors. Since the header pins are breadboard compatible this is a quick way to connect a USB cable to a breadboard. great for repair or proto.